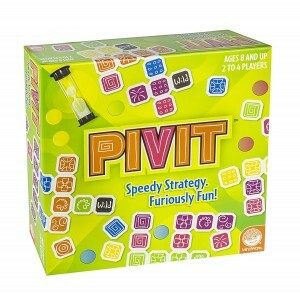 Pivit from Mindware is a speedy strategy game. Quick thinking and fast fingers will help you beat your competitors. The aim is to connect your tiles. This can be done in rows and columns in a crossword style. The matches are made by colour and type of tiles. 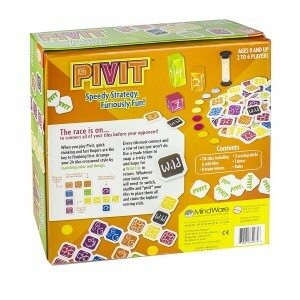 Pivit comes with free delivery.